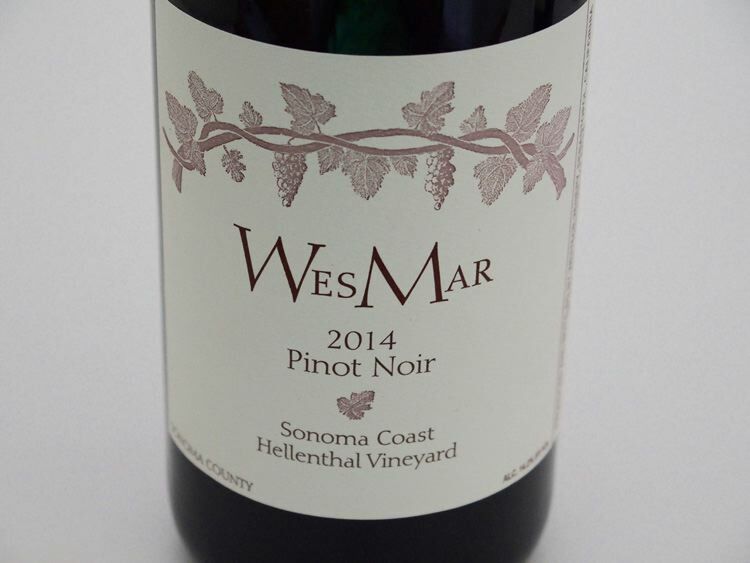 In the fall of 2017, WesMar Winery (pronounced “Wes-Mare”) will be releasing its 15th vintage, When I began the PinotFile in 2002, WesMar was one of my first featured wineries. Kirk Wesley Hubbard and Denise Mary Selyem left their corporate world jobs in the early 1990s upon the urgings of Denise’s father, Ed Selyem, and joined Williams Selyem Winery. Wile working there, they learned the wine business and the secrets of producing great Pinot Noir. When Williams Selyem Winery was sold in 1997, Kirk and Denise launched their own winery in the mold of the Williams Selyem garagiste model. Their winery is located in a former apple processing facility on Gravenstein Highway in Sebastopol. There is no fancy sign calling attention to the winery, just some grape bins outside with the name “WesMar” stenciled on them. The winery is strictly a two-person operation, with Kirk and Denise sharing all winemaking and winery management duties without the assistance of employees, consultants or brokers. Both appellation-designated and vineyard-designated Pinot Noir are produced, with each wine vinified in an identical fashion. The wines are vinified in five-ton, double-walled, rectangular open-stop, stainless steel, former milk shipping containers that maximize surface area relative to height and weight. These halved containers were originally used by Burt Williams and Ed Selyem when they owned the Williams Selyem Winery. There is usually an inclusion of a modest amount of whole cluster. Punch downs are by hand, the winemaking process is by gravity flow only using no pumps, and aging is carried out in a generous proportion of new Francois Frères oak barrels for about 11 months. The wines are usually bottled unfined and unfiltered. In 2012, the first two acres of an estate vineyard were planted in Sebastopol using Pommard and Martini clones, but subsequent replanting was required so the 2018 vintage will be the first usable harvest. WesMar wines are sold through a mailing list and the winery’s online website store at www.wesmarwinery.com. Visitors are welcomed with open arms by appointment (707-829-8886). The 2014 wines were released in the spring 2017. Magnums and Jeroboams are available. A Chardonnay was also offered from the 2014 vintage. As Denise noted, the wines are quite expressive now and when tasted the following day from a previously opened and re-corked bottle, they continued to shine, predicting age ability.